is your resend password broken? 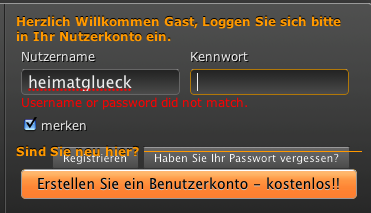 Unfortunately everytime I try to click on the "Haben Sie Ihr Passwort vergessen?" nothing happens. Would be nice if you could check whether the button is broken. This issue was already forwarded to our development team. In the meantime, change your language to English so you will be able to use those buttons. And please, stop posting the same question multiple times. If you do that again, I'll be forced to suspend your account. Thank you very much!